Today we finished up going through a few books of design research methods, for our research method analysis. 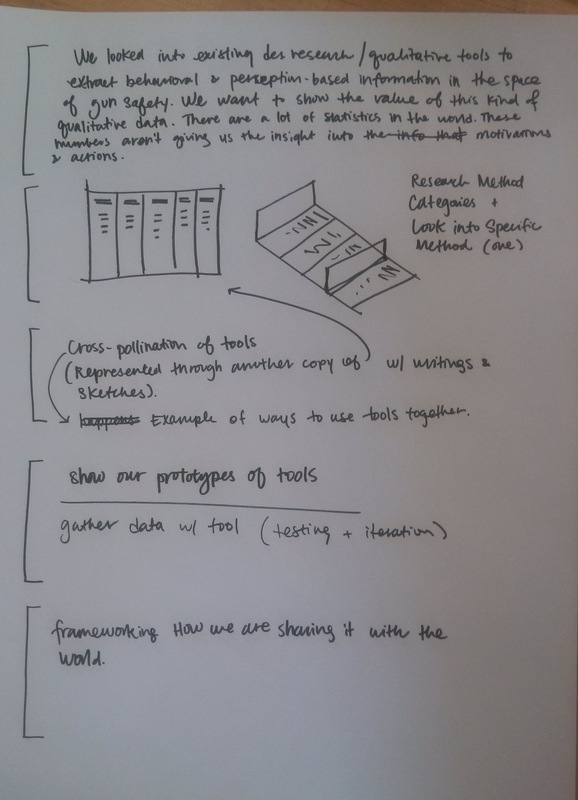 We are looking at and analyzing the existing methods in an effort to understand what methods or combination of methods would be most useful for our project. We chose these categories specific to learning about the context of gun safety. 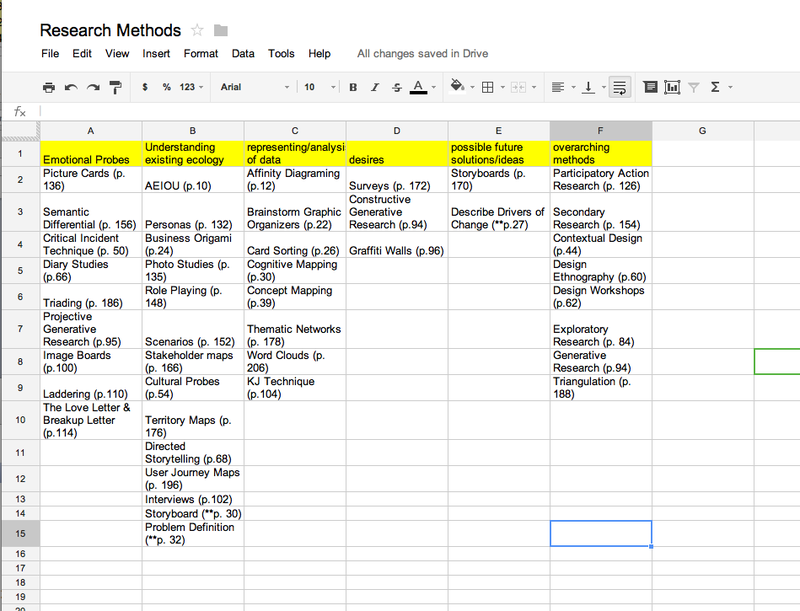 Through categorizing the methods in this way, we have begun to brainstorm scenarios for how the methods can be used. This entry was posted in Research tool project : EC & DP on March 4, 2013 by Danielle Parnes.